T20 World Cup has kick started and India will be seen in action soon enough. While we have a brilliant team to bet on, one cannot miss that it is captain MS Dhoni and his brilliant leadership skills that have always worked the charm for team India. We aren’t undermining the performance of any player from the team; we are just taking a moment to celebrate captain MS Dhoni and everything that he has done for the Indian Cricket team over the past years. We believe that India will grab the T20 World Cup this time because of Dhoni’s commitment and fine sense of judgement. Here are the top 10 reasons why Dhoni rocks! Captain MS Dhoni is popular for keeping his cool under immense pressure in the game. Moreover he ensures that the rest of the players aren’t stressed too. This works wonders in a 20-20 match. After all it is always the pressure that gets the better of you. The way he judges the ball and his swiftness is incredible! He doesn’t take a second to take the bails out. The Indian Cricket team hasn’t witnessed a better wicket keeping than Dhoni’s. All the new/young guys who are turning out to be a threat for all the other teams on the field have been supported and backed by captain MS Dhoni. He always believes in encouraging new talent and that has worked the wonders for team India. More than individual scores and Man of the match titles; Dhoni believes that the team must perform to its best capability in a match. He is the perfect example of a team player. Never will you find captain MS Dhoni having any airs about himself or his position in the team. Every player desires a captain who is a friend and not a bossy leader. Most of us end up getting annoyed when we expect a certain player to walk on to the field after a wicket and Dhoni sends someone else or enters the ground himself. But what seems like a blunder turns out to be a match winning decision always. 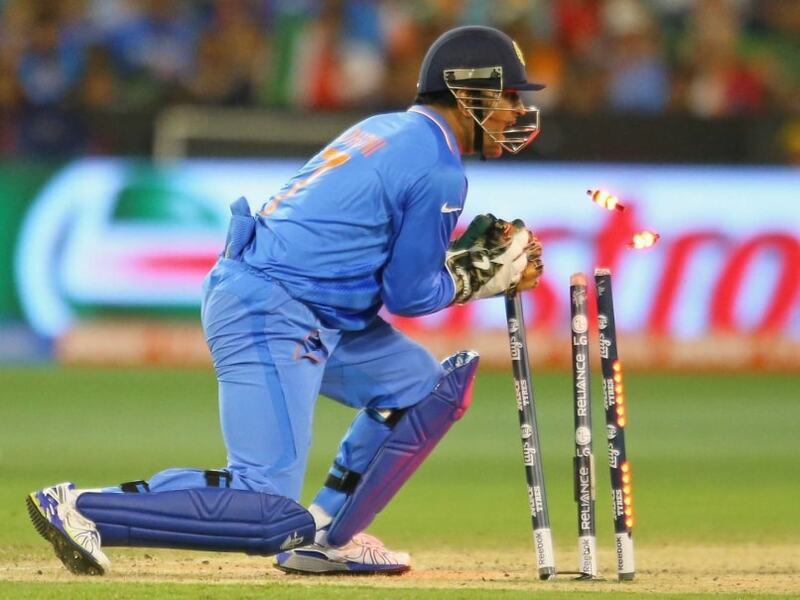 Whether it is batting or bowling, Dhoni is known for taking smart, calculative risks. Show us a better match finisher than Dhoni and we will pay you! Remember how he gave the captaincy to Sourav Ganguly in his last match before retirement? And Sachin Tendulkar himself said that Dhoni is the best captain he has played under. Need we say anything more? He didn’t see his new born daughter for days because he was at the World Cup leading team India. Who would have done that?! Everyone has immense faith in him. There hasn’t been one player who has expressed a certain discomfort in playing with him. Go captain MS Dhoni and team; get us that CUP! YOu May also like MS Dhoni Movie Teaser.